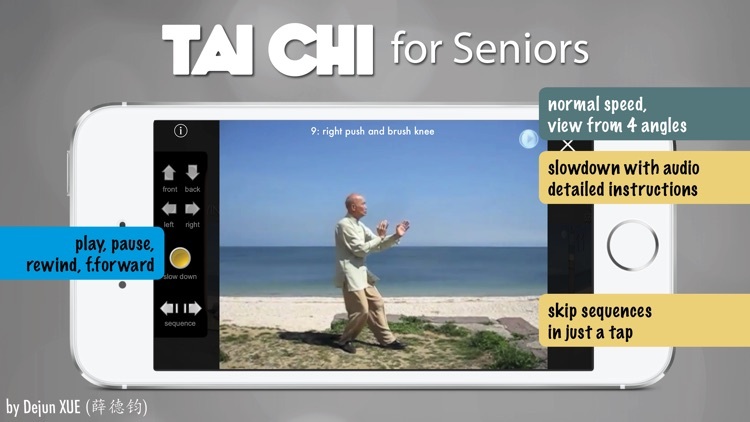 If you are a senior seeking to improve your health or simply wish to learn or practice Tai Chi in a harmonious pace, Tai Chi for Seniors will benefit you. 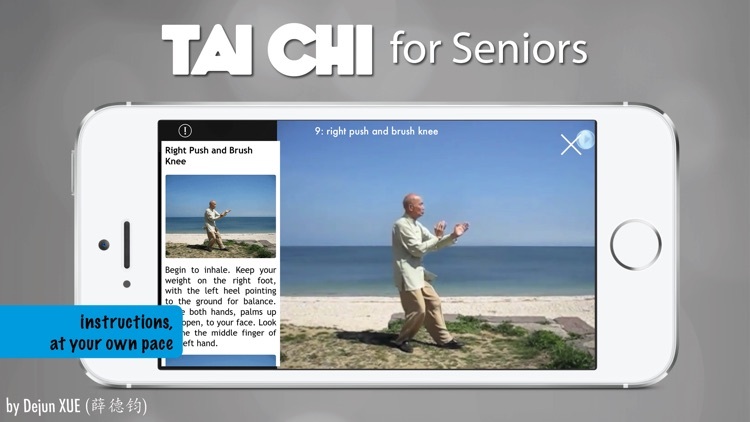 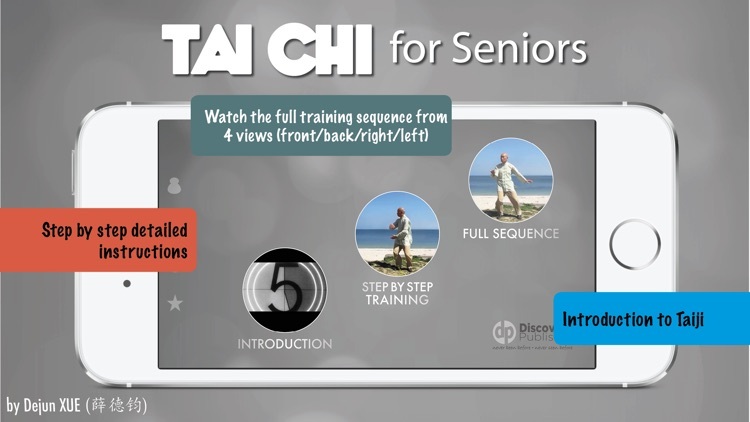 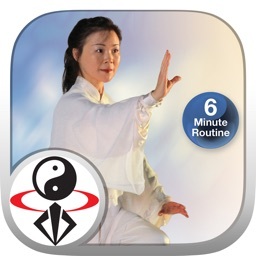 Tai Chi for Senior comprises 64 Tai Chi videos (from 4 angles) with step by step detailed instruction from the Tai Chi master Dejun Xue (薛德钧), author of numerous books on Chinese classics and Tai Chi. 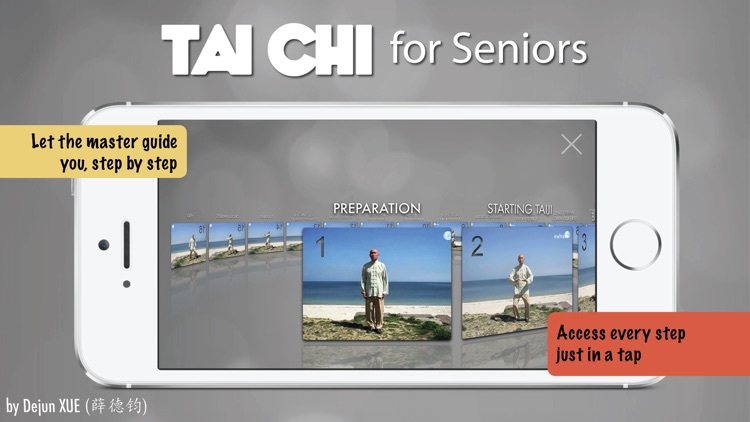 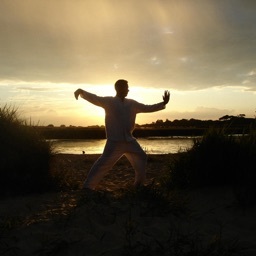 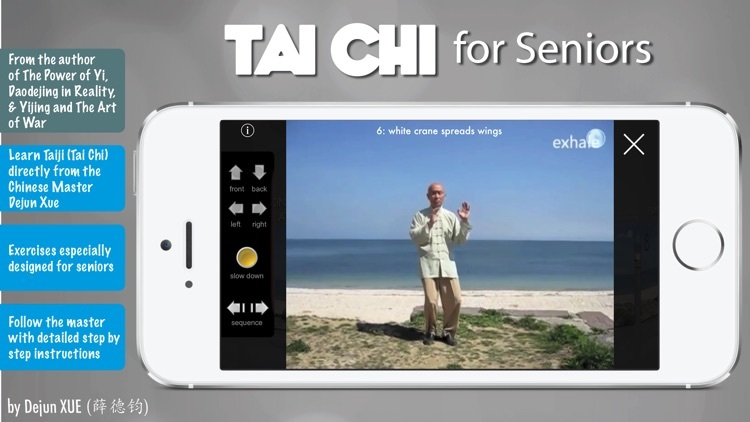 Each Tai Chi sequence was filmed from 4 angles and comes with detailed audio as well as written instructions.